This is very difficult to mange left side control of Ubuntu windows.Simply you can change this setting. 2. Navigate to apps-->Metacity --> general. 3. Double click the button_layout key. 4. Change the value of this key to menu:maximize,minimize,close. 5. Click OK and the change will occur immediately. You can now close the gconf-editor tool. Frogatto is a platform game in two dimensions. The protagonist of this game is a funny frog can jump, run, swim, while avoiding being hurt by the various monsters in each level. It is currently available Frogatto version 1.0, which represents the first stable version of it. 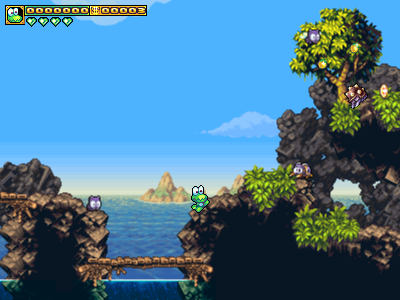 Frogatto 1.0 is a classic platform adventure game is fun and fully playable. Frogatto has more than 30 levels and a fully functional editor that allows you to create your own levels or, edit an existing levels. Googlubuntu is a Search engine based on google for linux users. ”Googlubuntu is using Google customer search to search all related articles and sources about Ubuntu and the others.